Do you like Asian-fusion? Do you like brussel sprouts? Do you like restaurant-quality food made at home? Then this is your recipe. 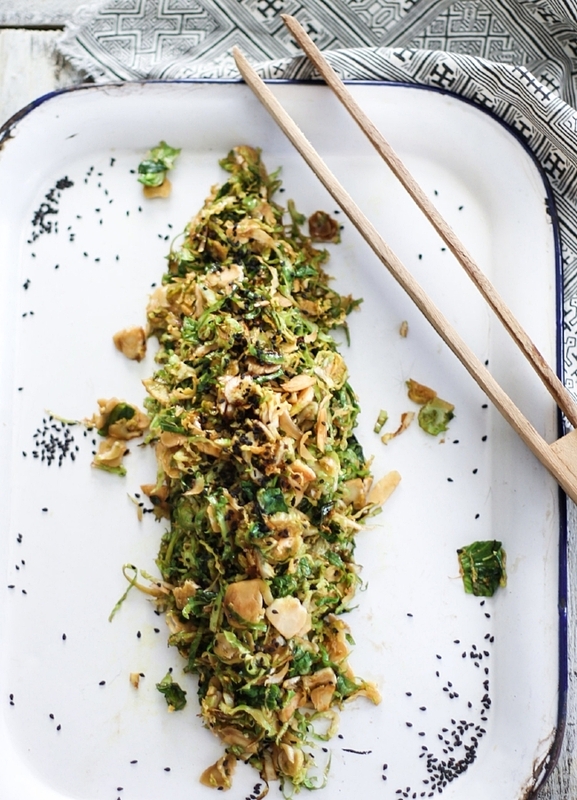 They use shaved brussels, but I just use regular, chopped up brussels and it's still incredible. Also, to use all the flavors of this dish to their fullest extent, I make brown rice on the side and add ground turkey into the pan with the brussels to create a full meal out of it. But these brussels stand alone on their own just fine, too. Heat a wok or large skillet over medium heat and add sesame and vegetable oil. Add ginger and garlic to the pan and heat until just fragrant. Add sliced brussel sprouts and sauté for 2-3 minutes. Add in soy sauce, honey, and chile oil at this time and stir to combine. Cook for another 2 minutes and sprinkle with black sesame seeds.